Trigger performs its work based on one or more conditions. 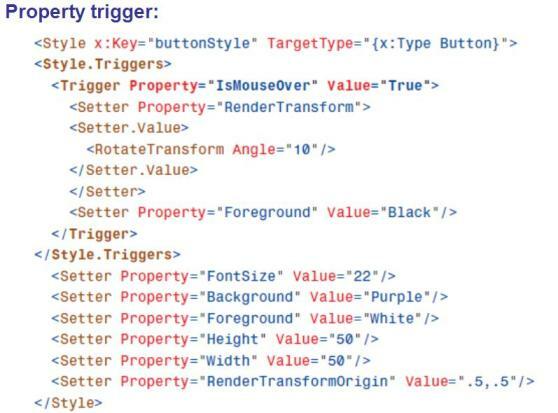 Data triggers are just like property triggers, except that they can be triggered by any .NET property rather than just dependency properties.
. Multiple triggers can be applied to the same element (to get a logical OR).
. 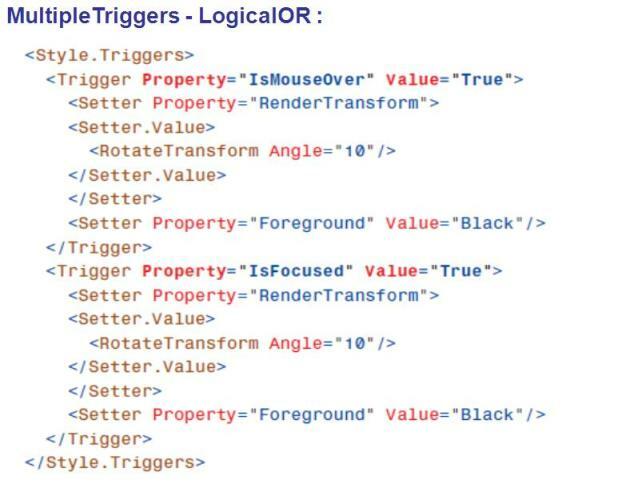 Multiple properties can be evaluated for the same trigger (to get a logical AND). Dependency property depends on providers to determinse its value . Internally dependency Property is registered with DependencyProperty.Register method. Whenever the value of a dependency property changes, WPF can automatically trigger a number of actions depending on the property’s metadata. built-in change notification is done through property triggers, which enable you to perform your own custom actions when a property value changes. 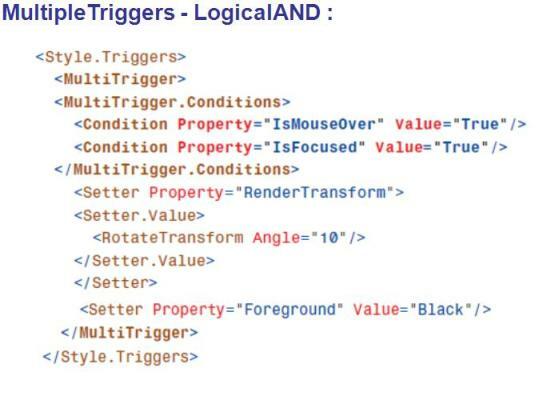 With a property trigger, however, you can accomplish this same behavior purely in XAML.